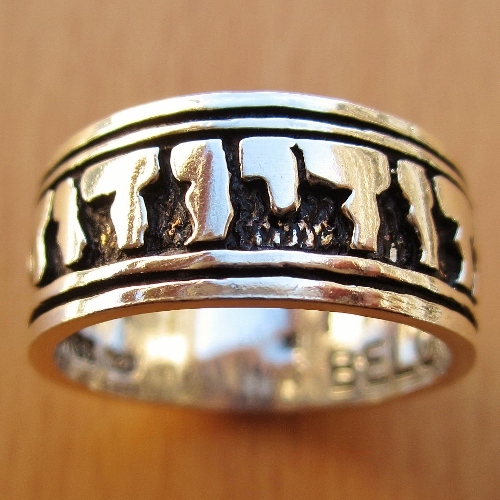 Solid sterling silver with 'Ani Ledodi Vedodi Li' inscribed in Hebrew. 'I AM MY BELOVED'S AND MY BELOVED IS MINE-SONG OF SONGS 6:3 inscribed on the inside of ring. Please specify ring size at the end of your order under "Comments and Special requests."